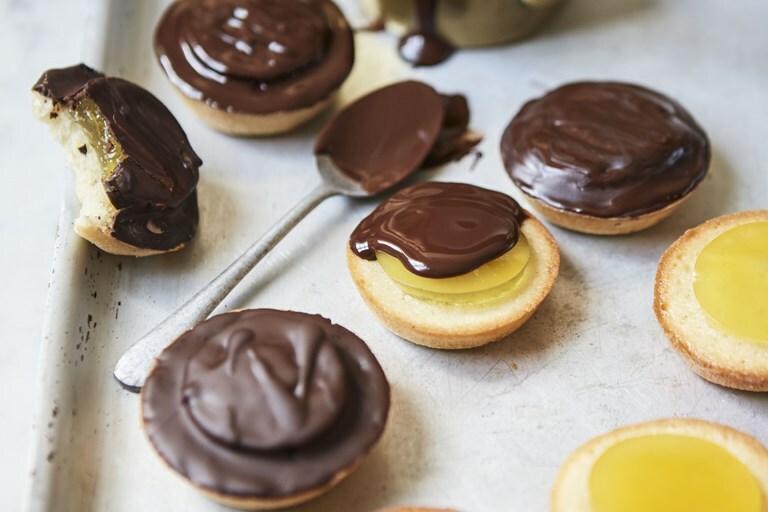 This recipe for home-made Jaffa Cakes is perfect for a special afternoon tea or self-indulgent snack. Light-as-air sponge, zingy jelly and lashings of chocolate on top, they put shop-bought biscuits in the shade. Somehow greater than the sum of their parts, Jaffa Cakes are one of my favourite teatime treats. And even though I'm thirty years old, I still like to lick off the chocolate then nibble carefully round the sponge until there's just a disc of wobbly orange jelly left. The sponge base is inspired by those irresistible French teacakes, financiers, but it's the zingy orange middle that really sets this recipe apart. This recipe is from Kate's new book Homemade Memories: Childhood Treats with a Twist published by Orion, 2015.